Premier Li Keqiang held talks with representatives from business, finance, think tanks, and media at the Summer Davos. Trade negotiations should stick to the principles of multilateralism, Premier Li said at the 2018 Summer Davos. 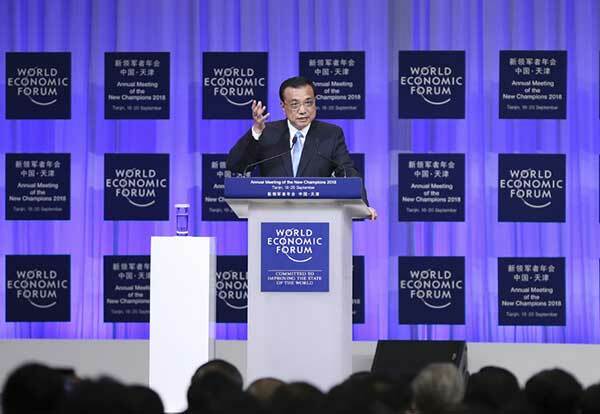 Premier Li Keqiang has delivered the opening speeches of the Summer Davos Forum for five consecutive years. Premier Li pledged to lower China’s overall tariffs and remove all unreasonable steps in customs clearance. Despite economic uncertainties at home and abroad, business leaders, policymakers and industry experts are optimistic about China’s economy.